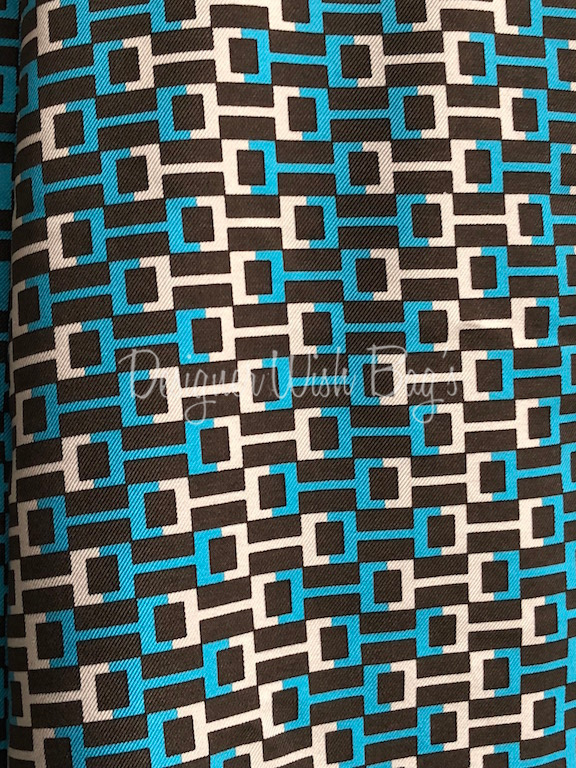 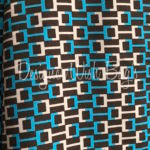 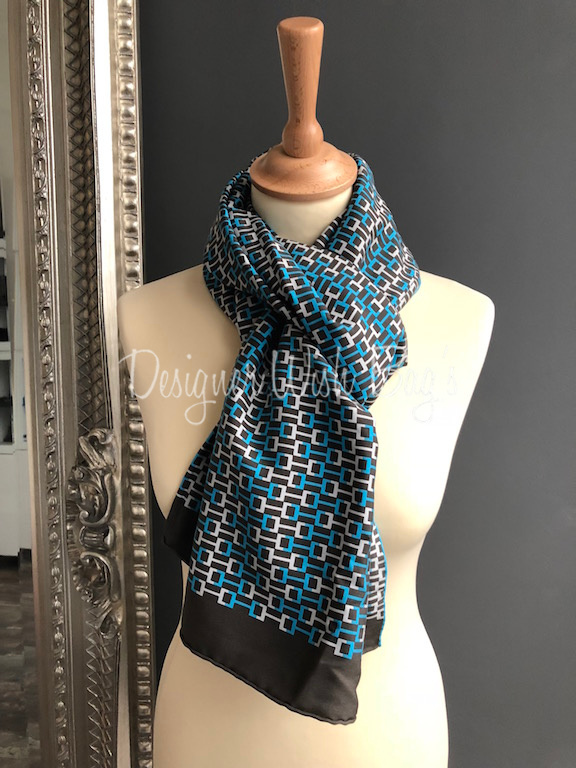 Beautiful H print in the colours blue, white and grey/brow. 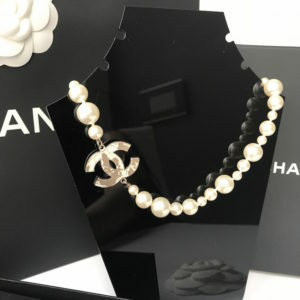 Will be delivered with Hermès Box. 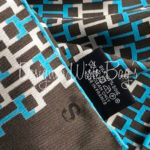 Note: on the back of the label there is an “S” stamp, from Sales. 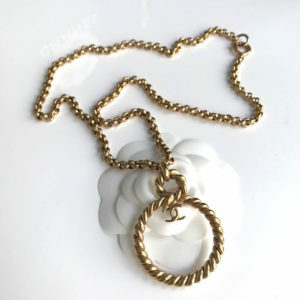 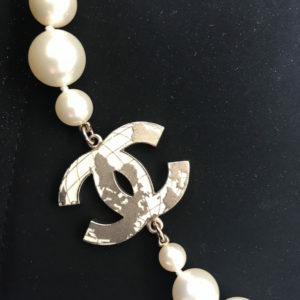 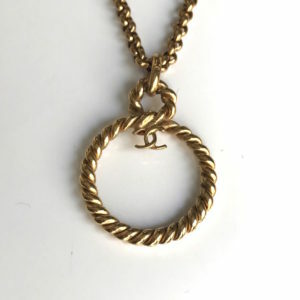 Chanel Pear Necklace with big gold CC. 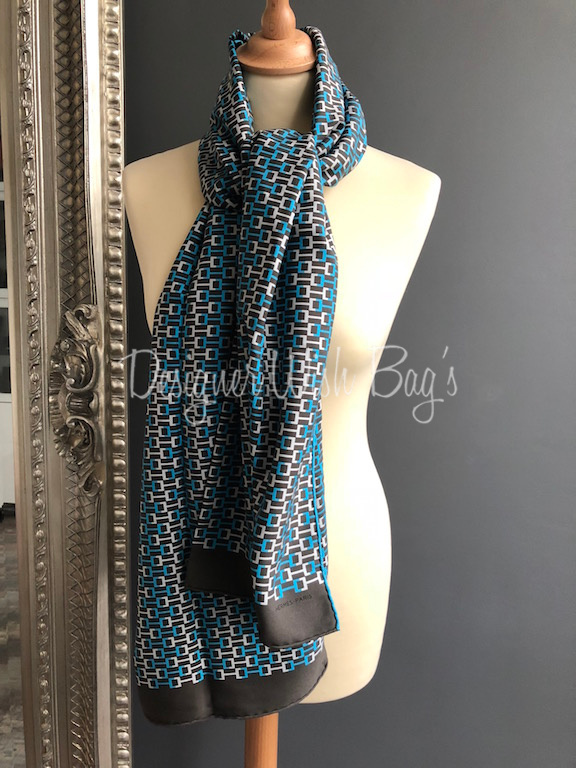 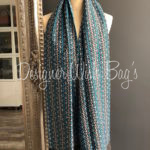 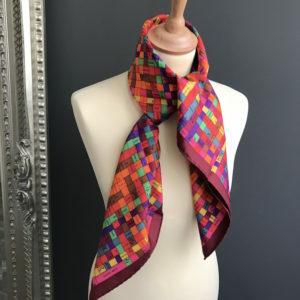 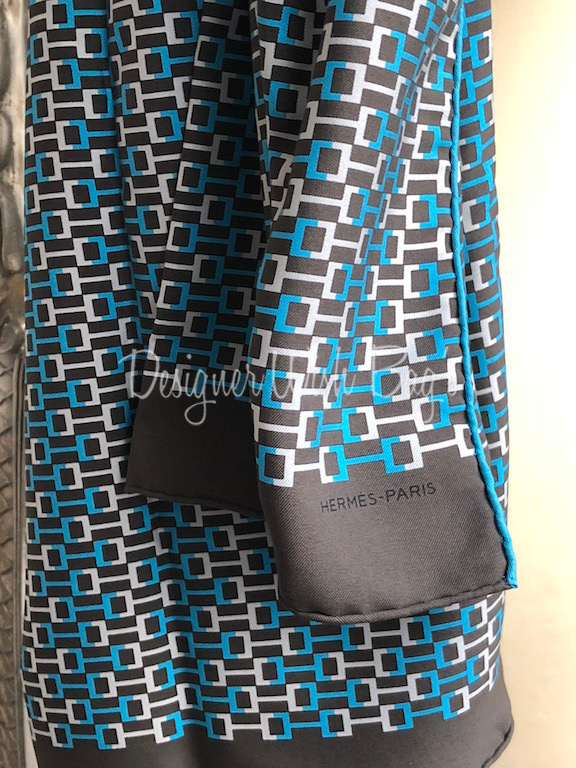 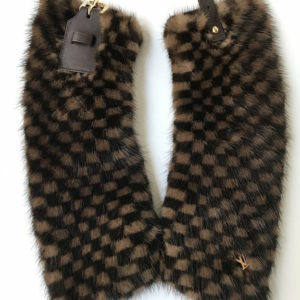 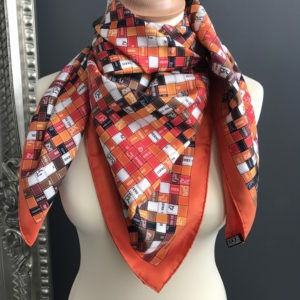 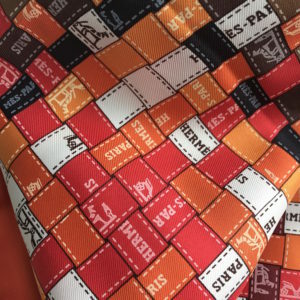 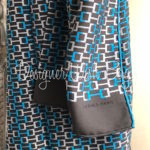 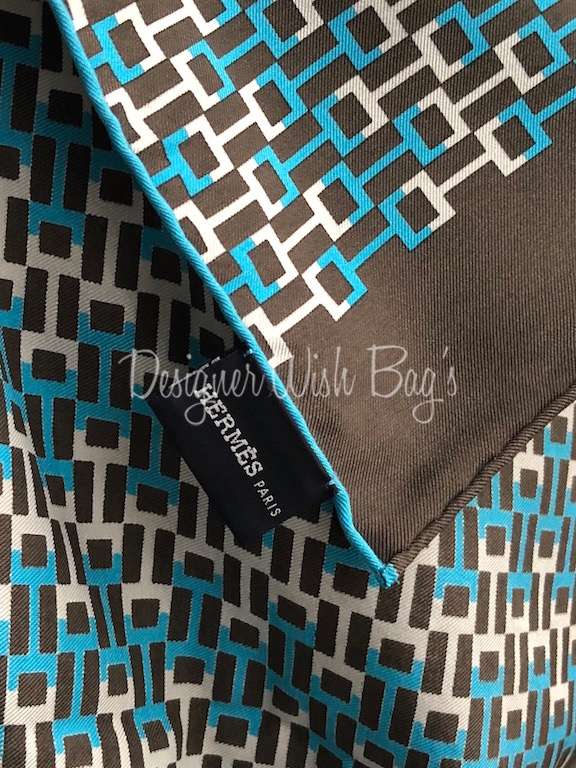 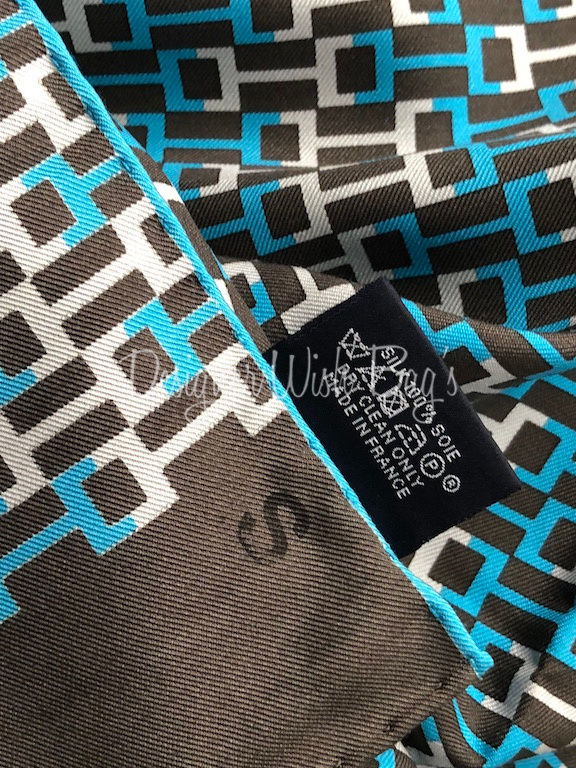 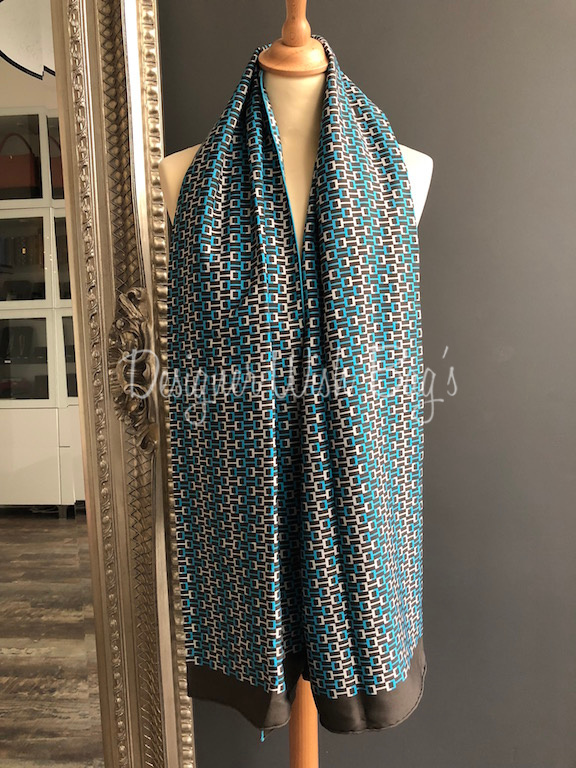 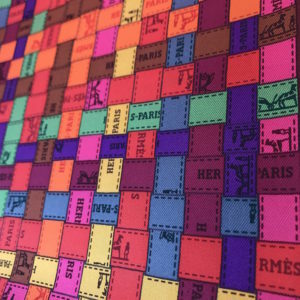 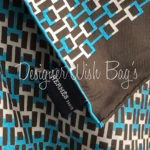 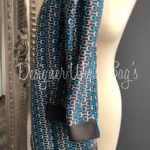 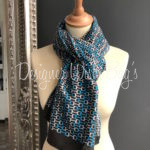 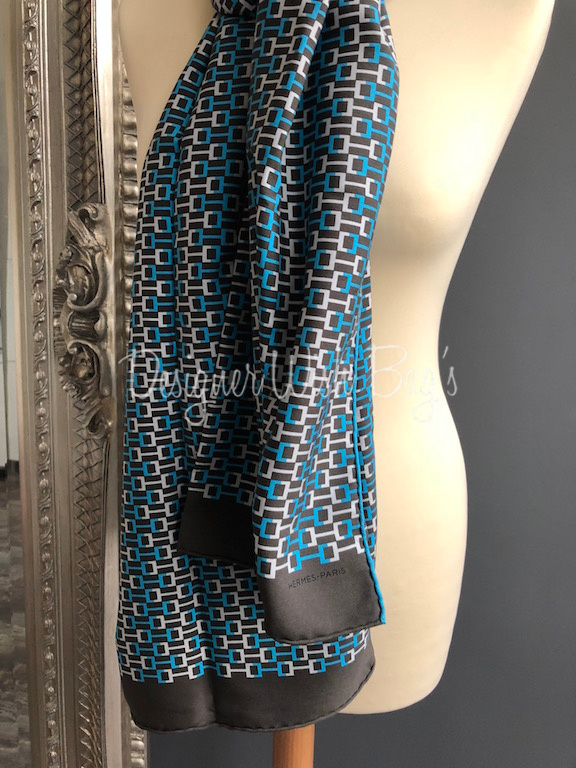 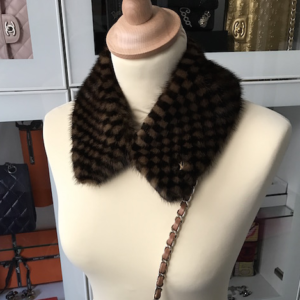 Hermès Scarf/ Carre – Brand New!